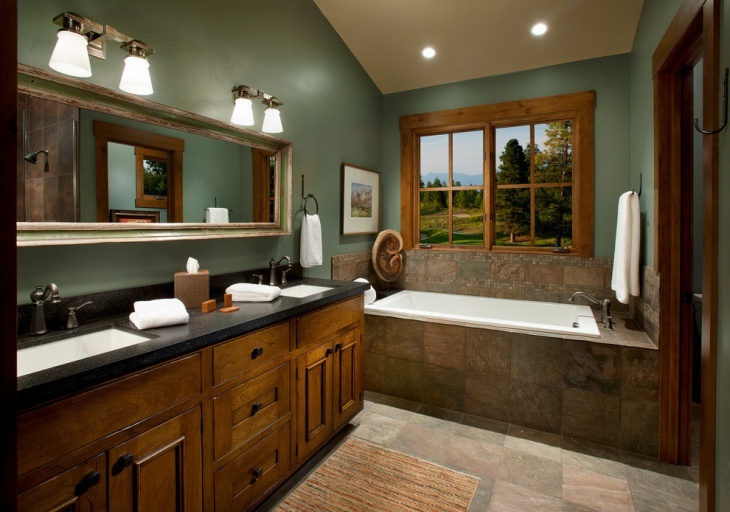 Are you finding it hard to come with the best color to go with your bathroom design scheme? Well, the choice will depend on the ambience you are looking to create and the lighting that you plan to employ. 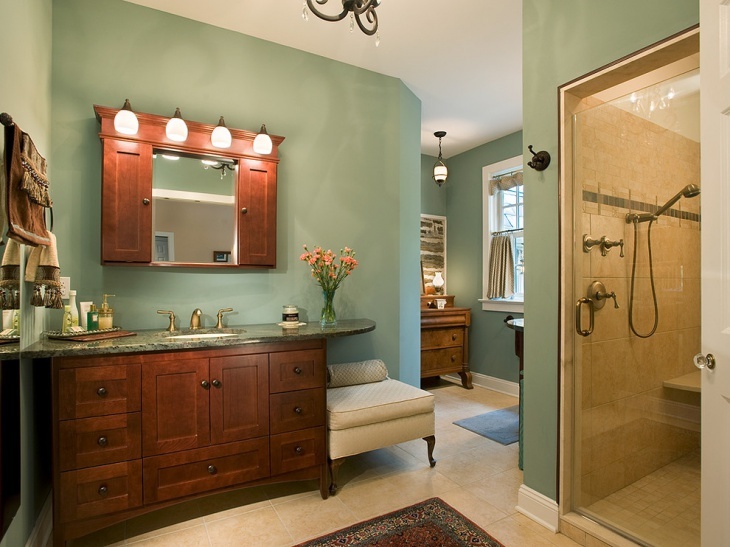 The overall bathroom space too has a say on the color you put on the walls and the tiles. While lighter shades made up for small space, ambient lighting makes it look cozy. 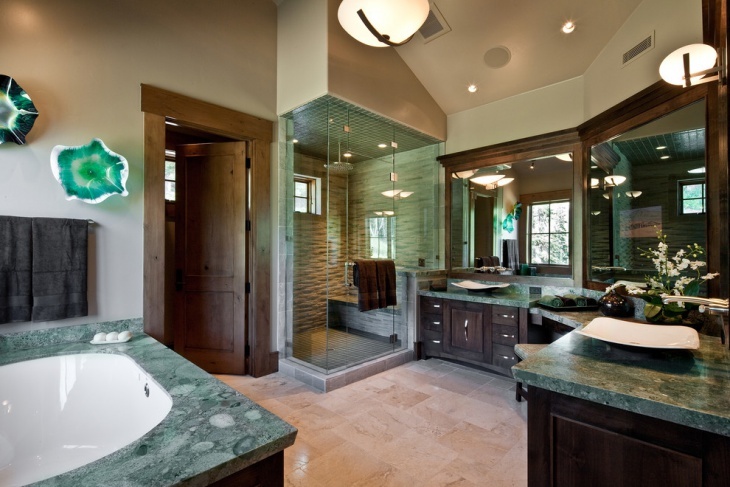 Over the years, green has however been a popular choice among homeowners across the globe. Let’s take a look at some instances. 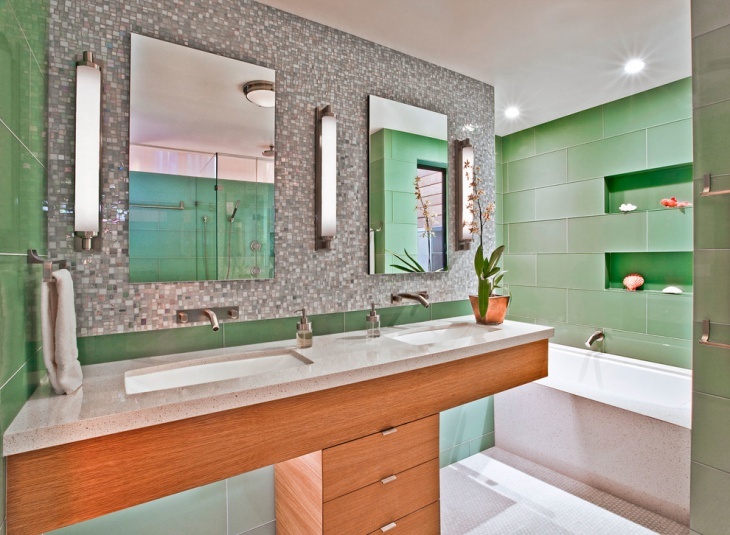 Green as a bathroom color scheme looks sober and revives the mood. 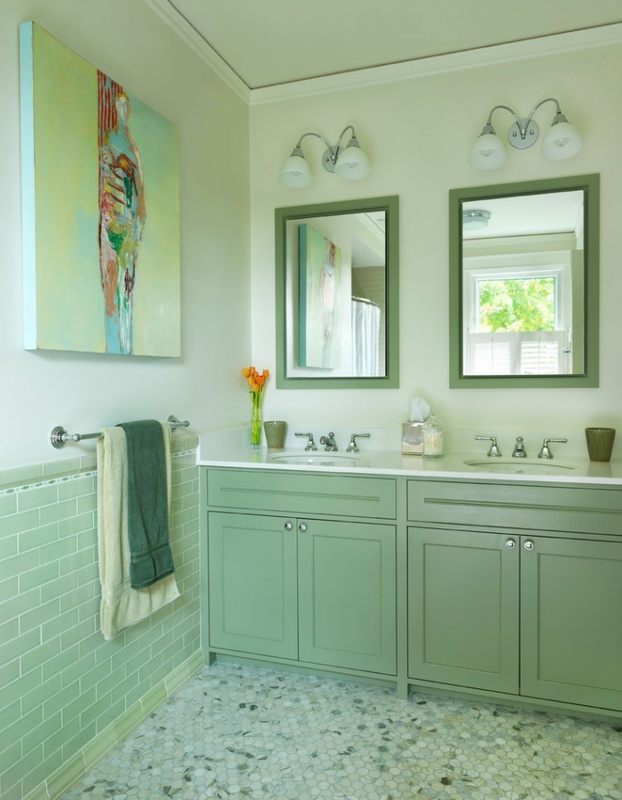 Especially for homes with a small bathroom space, green accessories over a light colored wall can create the right amount of contrast. Looking earthly, green will also ensure that the polish doesn’t fade out too easily and look dull over time. Counter-tops in green vinyl finish look gorgeous if you have a rather well-lit ambience. 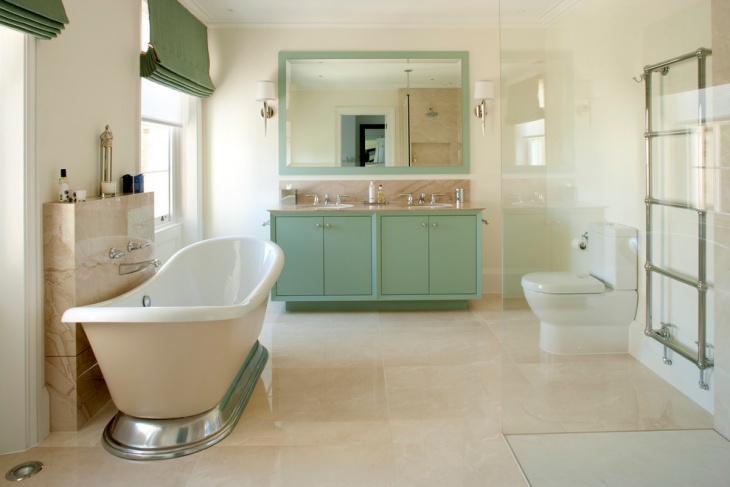 In this case, a gorgeous bathroom has been created with the use of big glass baths, a white tub, and light coloured counter-tops. If you have a rather private setting, it could be worthwhile to integrate big glass windows for better use of day-lighting. 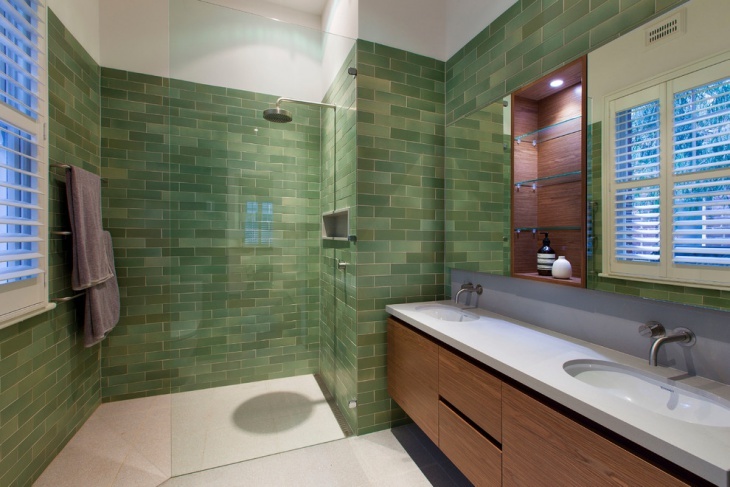 Green tiles can subdue the rather light environment created by smooth white walls and countertops. Green also looks fresher than other colors and will be a worthy option to try. 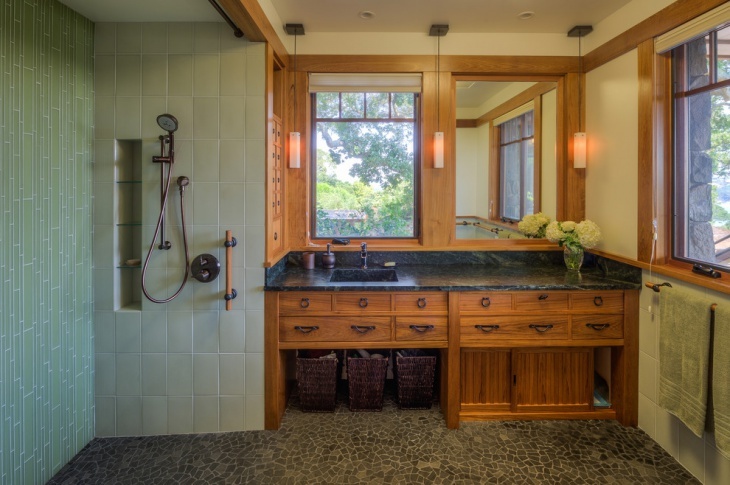 A traditional bathroom setting, the space is well provided with exotic bath ware, gorgeous lighting and a lot of cabinetry for storage. The mint green wall color doesn’t stand out but rather lightens up the mood. This design scheme is rather eloquent and royal. Embellished with a lot of dark timber for cabinetry and mirror frame, the green wall lightens up the mood and also allows light to spread (reflect) around more effectively. 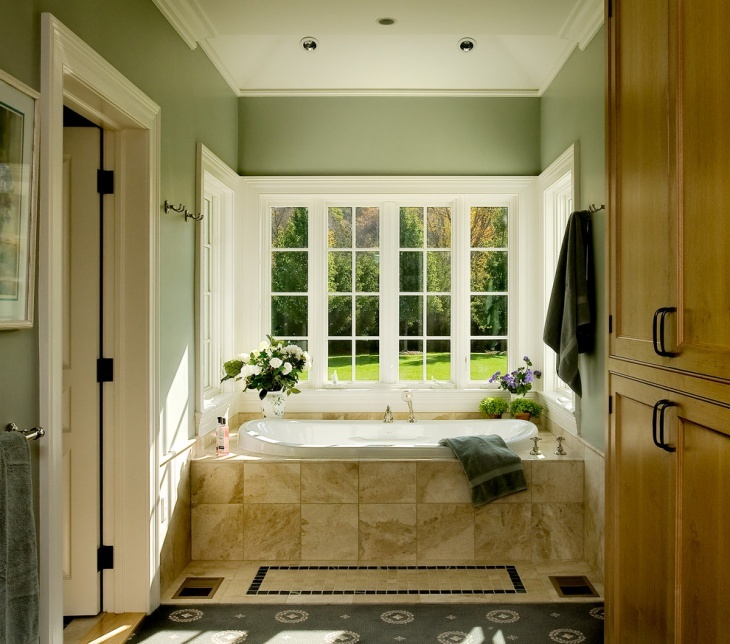 This bathroom, with a view, will be the ideal space for any young homemaker. 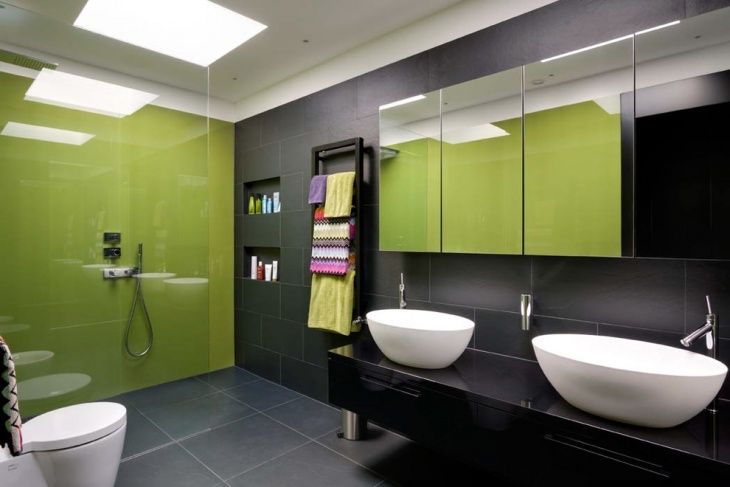 Green and black polish creates a stark contrast and will be a modern way of designing your bathroom. While black brings in the royal look, green creates the right amount of matching contrast to create a bright ambiance. 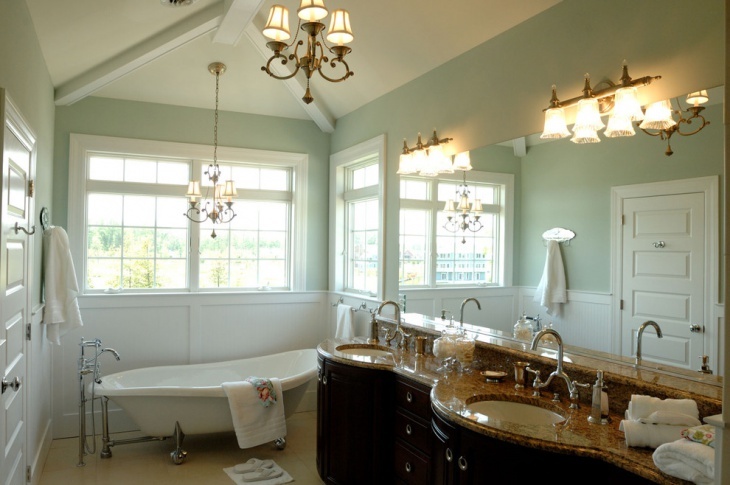 Ceiling lights, in this case, add to the effectiveness of the scheme. Another royal way to design your bathroom, this combination of dark timber and mint green reasons your lifestyle perfectly. The use of unique lighting and rags with complimenting textures add to the mood of the environment. On the first look, this would be as precious as any other important room in the house! 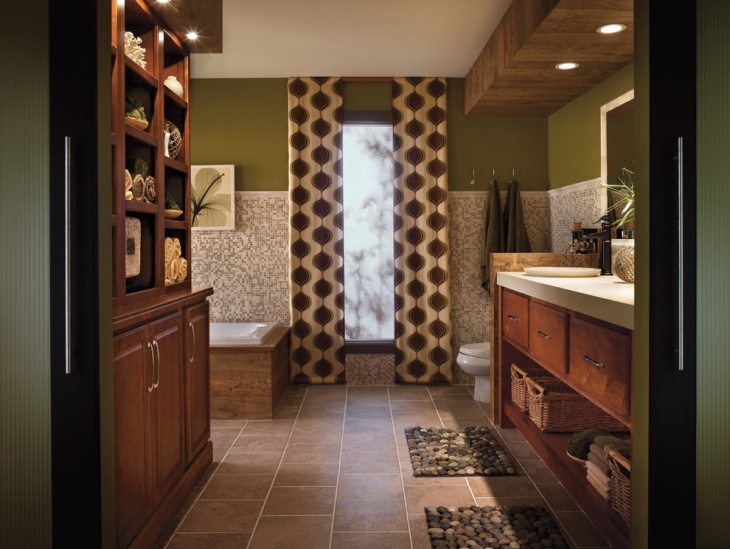 Perfect for resorts and other big bathroom spaces, the exquisite décor will make anyone admire the designer here. Vases, jars, and other décor elements lit up with ambient warm lighting create a space that creates an exotic and romantic mood. Sage green accessories stand in perfect contrast to break the monotony and make the overall décor vibrant. 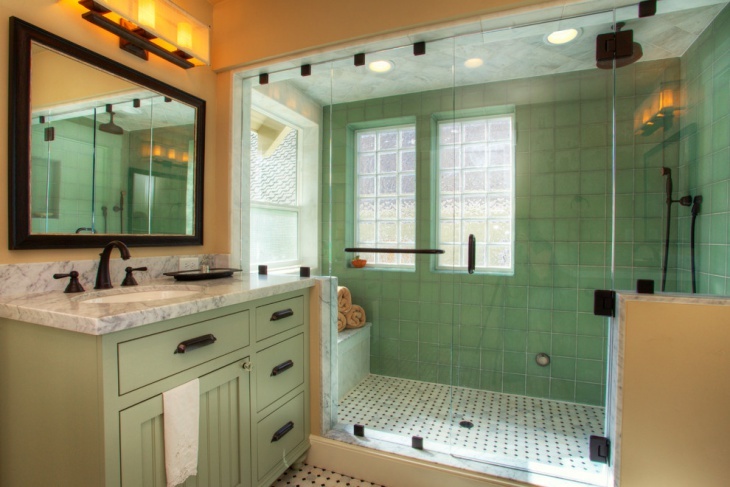 If you are planning to remodel your existing bathroom, green can be easily integrated into the new design. 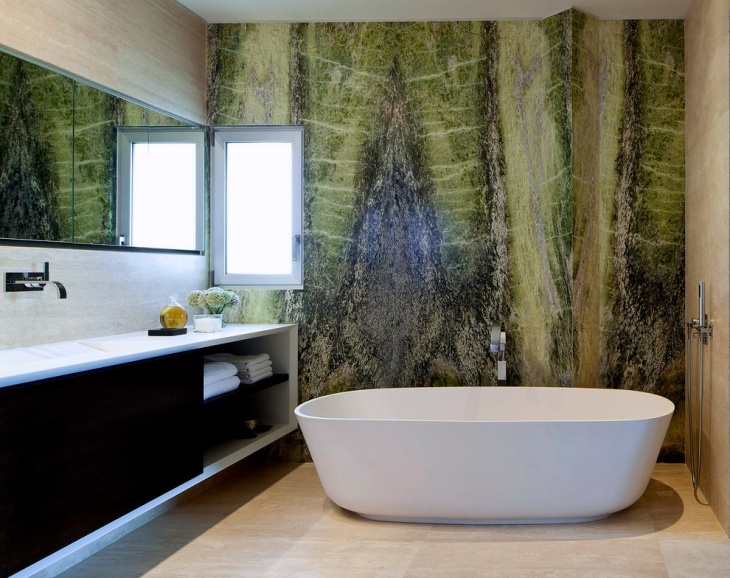 Green coloured walls stand in perfect contrast to a well lit and light coloured cabinetry. Further, the placing of some green plants and flower pots adds to the liveliness of the environment. 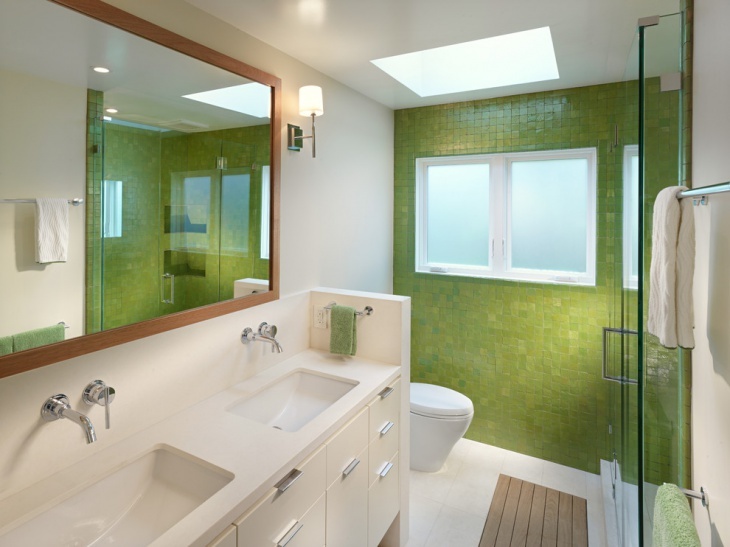 In this scheme, the color green has been used tAre you finding it hard to come with the best color to go with your bathroom design scheme? Well, the choice will depend on the ambience you are looking to create and the lighting that you plan to employ. 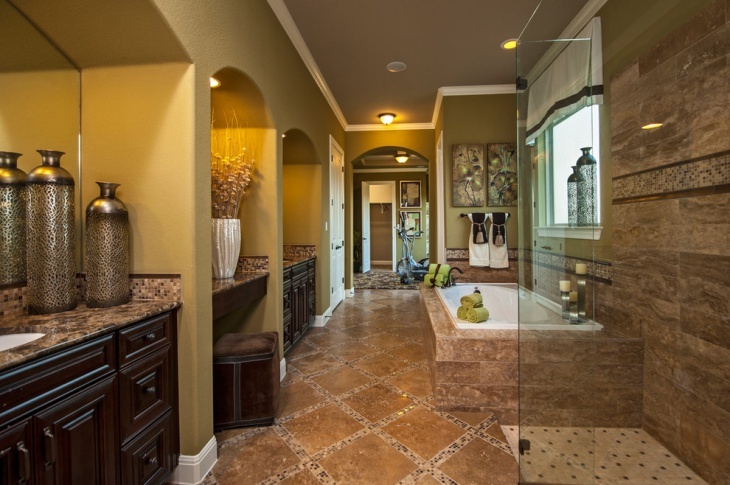 The overall bathroom space too has a say on the color you put on the walls and the tiles. o create a rather separate space for the cabinetry in the same floor. 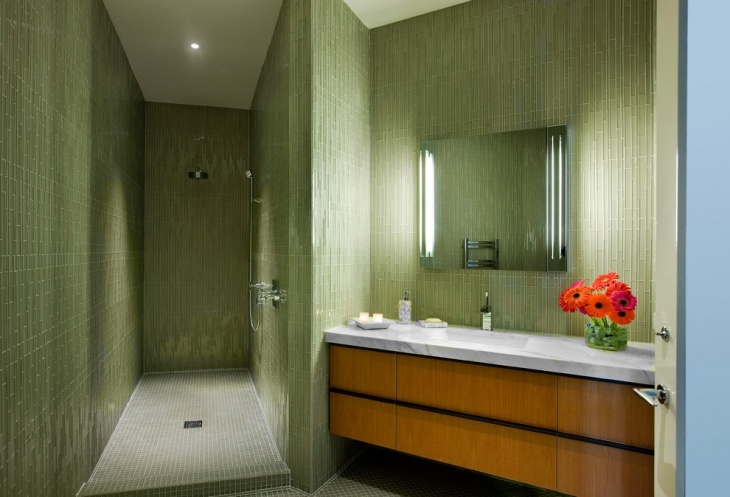 Green stands in stark contrast to the lighter colored floor and walls. 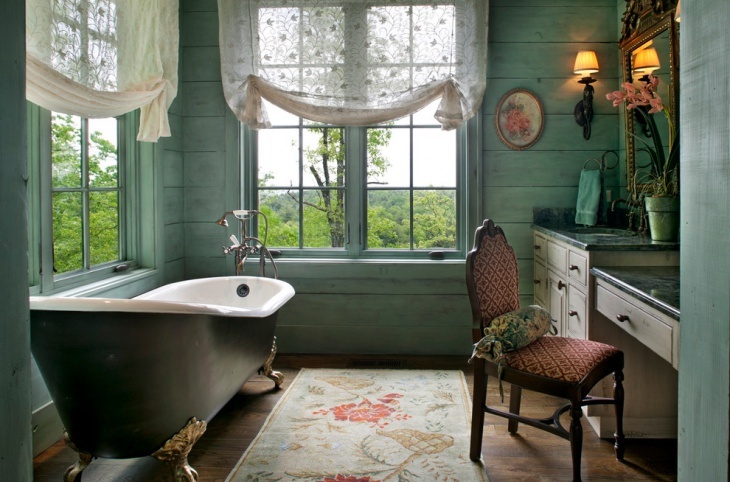 Have any other green bathroom ideas? We would like to hear from you!